Day 2: Gratitude. That is all. It’s just the second day of the year and already we’ve had a super moon. Silly me, it didn’t occur to me to check that first, while I pondered about the sudden surge in emotions and the very contemplative mood I’ve been in. The last month has been a lovely end to a rather special year. A month of deliberate silence, lots of stolen quiet time, enough busyness with work, plenty of socialising, food drink and cheer and to top it, some really needle-pushing realisations that have given me some much needed clarity and reassurance right in time for the new start. It’s made me look back at the absolute ride that 2017 was and my heart is full like it hasn’t been in a long time. Combine that with the obvious new-start shininess that has kicked in and I’ve been a bundle of gratitude for a few days now. I’ve been wanting to take stock of all that I am thankful for. A couple of nights ago under a misty sky with a moon so bright, it allowed no stars to shine thru, I realised with humbling coherence that the only steady, unflinching, silent, unwavering and absolutely constant support I’ve had this year has been my family. My parents, VC and my sister have consciously (when I vocally asked for help) and unconsciously (by just being there and giving of themselves) seen me through a year chock-full of uncertainties. The morning after, I woke up feeling content and utterly filled with gratitude. There are umpteen reasons why moving to Bangalore made, and continues to make, sense. Depending on various variables and situations we’ve thought this back and forth and through to the heavens and back a bazillion times over. Sometimes it is to reassure ourselves of the decision, sometimes it is to find reserves of courage to plod on, sometimes it’s to take stock and see where we’ve come. All of the time, though, I pat myself on the back for how we managed, and I feel grateful it’s worked out. But really I’d be kidding myself if I didn’t acknowledge the kind of help I got. I’d be doing the entire move and the effects it had on me such a gross disservice if I didn’t acknowledge how much therapy for my soul it has been to just been in such close proximity to my family. I mentioned finding belonging yesterday and this has been the missing piece in the puzzle that I’ve only recently uncovered. Whether it’s the daily home cooked meals I enjoy with my parents, the sharing of workspacebwitb my sister, being just around the corner from my mother, or always having a home to come too even when the city still deceives me with its homeliness, I’m convinced that this pivot in my life came at the right time, and for reasons I didn’t fully understand earlier. 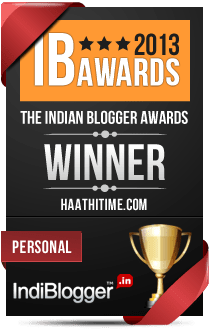 It’s late, we’ve just touched down in Bangalore after a long drive back from holiday, and I want to get this post out before I call it a day, so this acknowledgment of gratitude will have to do for now. But I will be taking stock and giving thanks soon. It’s such an important part of moving on and stepping ahead, I don’t want to miss out. For tonight, this is gratitude for where I’m at, and excitement for where I’m going.